I know, I know. I haven't blogged in so long that it's becoming a sin. A travesty. I'm ashamed of myself. BUT here I am, ready to play catch-up during my lunch break! Randy isn't here:( So you won't be getting any of him today, but I expect he'll be around again soon enough! Between working 40-50 hours a week, planning a wedding, spending time with Randy, trying to wrap up my senior documentary, apartment hunting, and trying to see friends before I'm married a no fun, it's been a little busy! 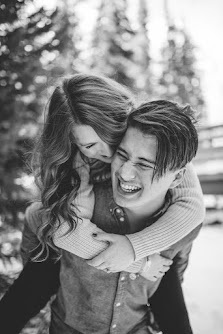 So here's the small catch-up I can give you right now, stay tuned some posts purely dedicated to Randy and I's first look photo shoot, the rest of our bridal shoot, my thoughts about going to the temple for the first time, and things I've learned since becoming a working girl that I didn't learn in college! 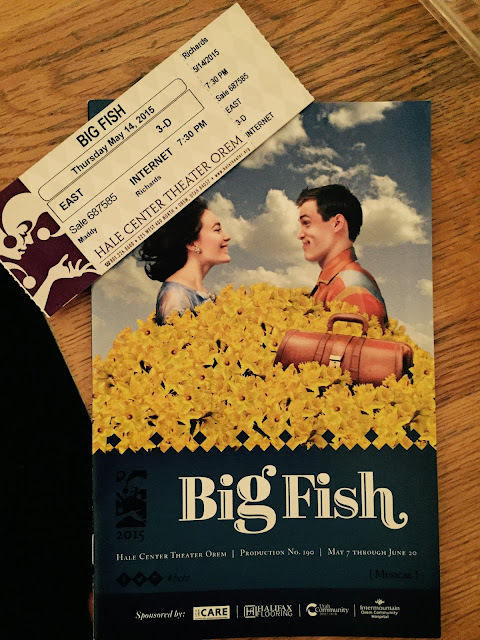 Randy and I snuck off for date night to go see Big Fish at Hale Center Theater in Orem! It was amazing! It's one of Randy's favorite movies, so it was fun to surprise him with the musical! Another thing that's been a blast is checking out restaurants for lunch when Randy is in the city. Sometimes we'll have errands to run so Randy will come up to the city and do them while I'm at work, and that means we get lunch together! It's a blast! Speaking of work....this is a glimpse of what I do all day. I feel like my job has it all...creativity and analytics, brand strategies and content writing, computer programming and PhotoShop, it's just awesome and I am absolutely loving it! I also some how missed posting about Mother's Day!!! I'm terrible I know. So here's a post for my mother! My mom is absolutely amazing in every way. Heavenly Father knew she was EXACTLY what I needed in a mom, and best friend. 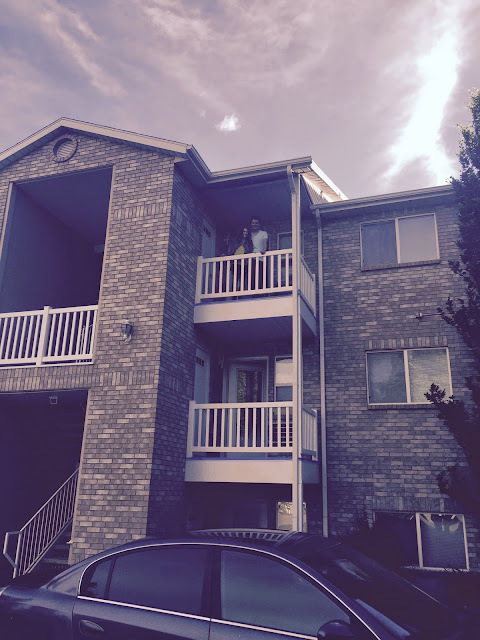 Randy and I got an apartment! Yay! We are so excited to live in Midvale! 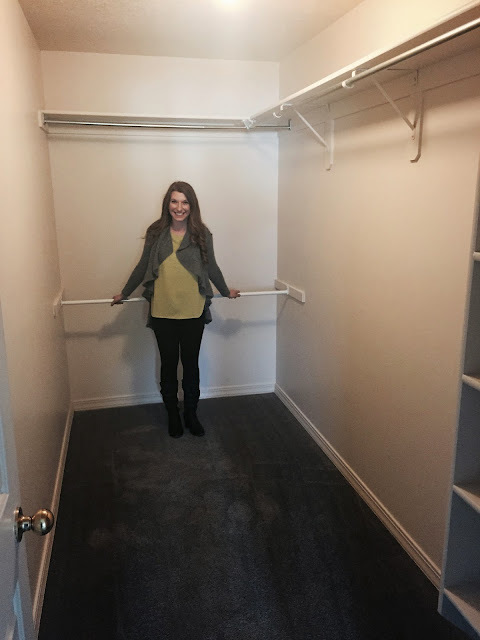 I'm mostly excited about this giant walk-in closet here! Liv ran in the State Track Meet and KILLED it. Both of her relays got second in STATE and the Davis team won! Bethany just sang a solo in her choir concert, and the little sample I got before had was incredible. She has the voice of an angel and is teaching herself to play guitar. Ben and Kim are expecting a baby GIRL and I am so excited! Ben also just finished the hardest year of law school. And my Papi is just amazing. The man is loving his job and doing really well, running a billion miles every morning, and in his spare time builds and rebuilds computers and servers. He's a rockstar.